HHP was honest about his personal struggles with depression. Here’s why it’s important to acknowledge and help those who do live with it. Disclaimer: While hip-hop artist Jabulani Tsambo's death (aka HHP) has pushed back into the spotlight, discussions around his depression and the mental health condition as a whole, please note that the details around his passing have not yet been confirmed. The article below is a frank discussion about issues around depression and mental health disorders, while highlighting that HHP has always been open about his own personal struggle with depression. South Africa has been reeling with the news of rapper and hip-hop artist Jabulani Tsambo’s unexpected death. The artist, who everyone has come to know as Hip Hop Pantsula (HHP) was only 38 years old. 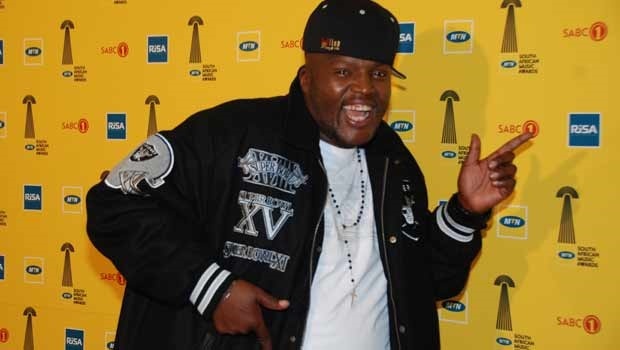 According to Channel24, friends and family gathered outside of his house, while celebrities, fans and HHP’s fellow peers in the music industry expressed their shock and sadness at his passing. While his family has requested some privacy, his wife Lerato Sengadi has paid tribute to her husband with a short Instagram post and their family spokesperson Edgar Makgeledise has just confirmed to The Juice that HHP will be buried in his hometown of Mahikeng. During the last couple of hours, we’ve seen so many different stories about HHP, some of the most notable being about how open he has been about his struggle with depression. And while we certainly don’t want to attribute this to his death, we want to acknowledge and honour the fact that he’s allowed the public access to his struggles. In a climate where stigma around mental health and depression is still prevalent in spite of the progress we’ve been making, it’s a revolutionary and powerful act to tell someone that you can’t cope. I feel that it is particularly even more powerful when the confession comes from people we expect wouldn’t be depressed. People with wealth, status and power. Those who have adoring fans and live the kind of life that we often would exchange our souls for. It’s powerful because they break the narrative that material wealth equates happiness. And it’s a frank admission that says that just because you have everything to live for, does not mean that depression can’t get hold of you. I recently saw a tweet about depression and anxiety that said something along the lines of how it’s not always rational, but it’s very real. Giving a name to that struggle and acknowledging that you’re battling with something that you have no control over is something many of us find difficult to make sense of because it can be easier to work with things we can see as opposed to that which we don’t. It takes a tremendous amount of courage to open up about an invisible illness and Jabulani, in a previous interview with Drum, has admitted that he struggled with the sickness since his teens, but that one of the biggest things that has helped him is helping others. He also admitted that he tried to commit suicide three times, but that the third time felt like it was a tremendous wake up call. He shared that that he didn’t want to feel like his depression was something to leave behind, and that it was simply part of the sum of his life experiences. We often look to celebrities as beacons of aspiration, and while in the past many would have mocked public figures for admitting that they struggle as well, for many young and impressionable fans, it helps to make us all feel okay in knowing that we’re all facing different battles. Changing the narrative around discussions about mental health illness also helps us to see that we should never judge people even when they feel that they cannot fight or live with their illness anymore. We’re certainly not saying that this is what has happened here, but that we should be mindful and consider that people experience hardships – physical, mental and emotional – completely differently and that each struggle is valid. Whether they win the battle or felt like they no longer had anything left to live for, we don’t reserve the right to judge someone or think they’re weaker for how they’ve fought the battle when we couldn’t even begin to relate to their lived experiences. Depression manifests itself in various forms and doesn’t need to look like sadness to be considered just that. Just earlier this year we lost fashion designer Kate Spade and celeb chef and TV host Anthony Bourdain. By all accounts both had so much to live for. 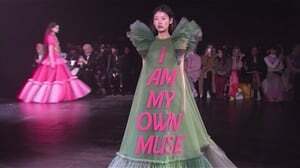 What was only revealed after the fact was that Kate was struggling with depression, but she couldn’t bring herself to get help at any clinic because she was worried about how it would affect her “happy” brand image. We see wealth but don’t realise that society places tremendous pressure on celebrities to project an image they’re not always feeling. Anyone can get depression. Anyone can suffer from mental health conditions and anyone can feel like they don’t have anything to live for. Mental health illness doesn’t discriminate and the sooner we remember that, the more empathy and support we can provide to those who struggle. May everyone else we’ve lost to whatever struggle they could no longer continue battling, rest in peace and in power. Are therapy apps the key to making counselling more accessible for a lot of South Africans?